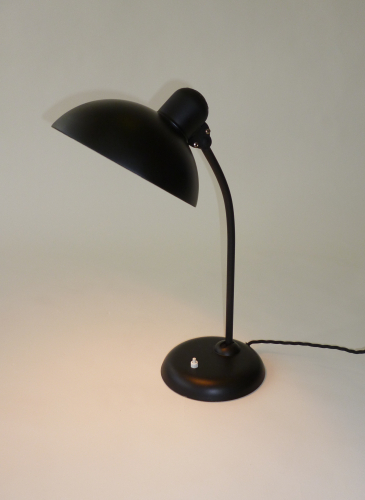 Restored original Bauhaus table lamp. Christian Dell for Kaiser Idell, Germany, 1940`s. Certified and rewired with black silk cord.